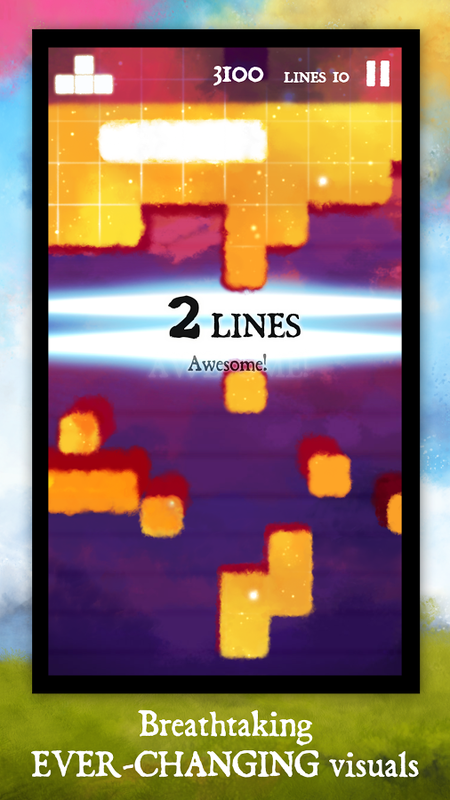 Noodlecake Studios brings you Dream of Pixels, a game that has often been described as Tetris in reverse. 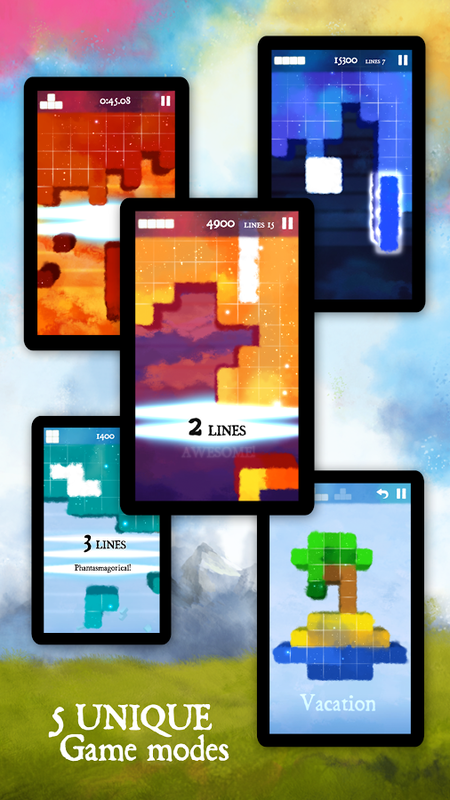 This falling blocks game received critical acclaim when it launched on the iOS platform almost a year ago, and although it has taken its time to get to Android, it is definitely worth the wait. 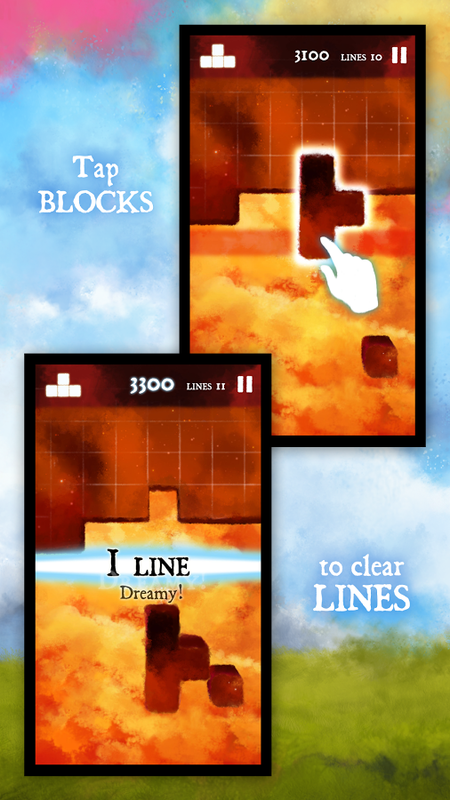 In Dream of Pixels, players must tap away the tetromino blocks up in the sky to eliminate them. The only obstacles standing in the way are other blocks of tetrominos; its as simple as that. But for a mind that has spent years playing tetris, trying to grasp the reverse concept might be a little mind-boggling. 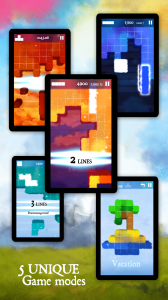 However, once you’ve get the hang of it, you’ll enjoy its beautiful animated screenshots, pleasant music, 5 engaging game modes, and the endless desire to rack up top scores and better your best. Here’s a look at some of the key features of the game. Unpack lines of falling blocks! 5 modes: Classic, Puzzle, Pro, Nightmare and Shattered Dream! Relax in Zen Puzzle mode – slow down and think about it! Amazing music, matching the visual experience perfectly! Share animated screenshots on Twitter and Facebook! Dream of PIxels is available for free (with ads) for the Classic and Puzzle game modes, but you’ll have to pay $2.99 to unlock the rest and remove the ads.